I’m so looking forward to playing MSR again! 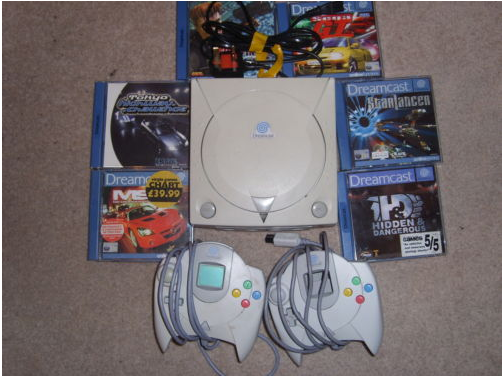 This entry was posted in computing, gaming, old, retro and tagged dreamcast, metropolis street racer, msr, pal, retro, sega. Bookmark the permalink. My boxed consoles also stay stored away, all neat and tidy, I buy odd consoles on and off with no box etc just to play 😉 so you’re definitely not the only one! In fact, I’m needing to find a PS1 at the moment, just acquired some PS1 games and don’t have mine anymore to test them on! Do you have a PS3? if so then it will play PS1 games. I probably play more PS1 games on my PS3 than PS3 games! Saying that, I am looking for a 32x at this very moment….